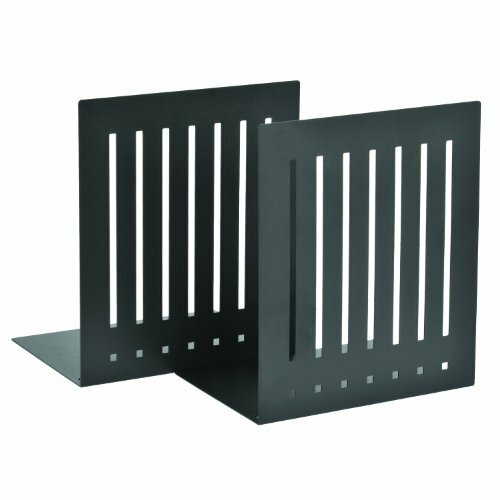 STEELMASTER Heavy Duty Steel Bookends are constructed of strong steel. These 10-Inch Bookends are perfect for housing binders, magazines, and thicker manuals. Coated with a scratch and chip-resistant powder finish, the STEELMASTER Heavy Duty Bookends are made in the USA. Serving the retail, specialty, hospitality, and banking Industries, STEELMASTER products are built to perform and made to last. Each STEELMASTER product is constructed of sturdy, heavy gauge material that is designed to stand up to daily use.